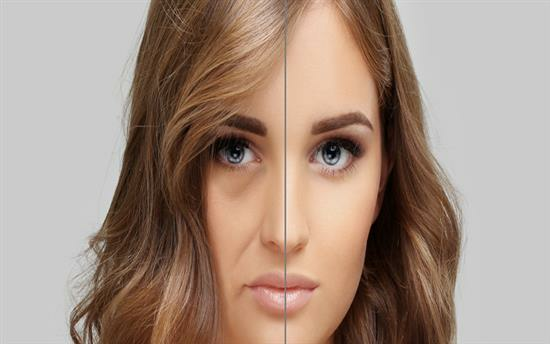 Facelift surgery and fat grafting: the key to successful facial rejuvenation results may lie in combining procedures such as facelift surgery and fat transfer, according to a top organisation. For patients seeking advanced facial rejuvenation procedures, such as facelifts, they can find it tricky to know which one is most suitable for their individual needs. However, according to the American Society for Aesthetic Plastic Surgery, the secret to impressive results may lie in combining procedures for a more impressive end result. At the recent meeting of the ASAPS, experts revealed many of the top plastic surgery strategies work best as a combo – including facelift surgery and fat grafting. Specifically, SMAS flap procedures and fat grafting can be mutually beneficial, working in tandem to improve results. Plastic surgeons presented their opinions on combining procedures such as facelift surgery and fat transfer to the Las Vegas convention and universally agreed that fat grafting has revolutionised the art of SMAS flap procedures, which in turn revolutionised facelift surgery too. During the talk at The Aesthetic Meeting – which took place earlier in April – experts discussed the benefits of repositioning facial fat, and how this can be used in combination with other forms of facial rejuvenation, such as facelift surgery. San Francisco Plastic Surgeon, Timothy Marten, said that for patients undergoing a second facelift, “fat grafting is often more important to rejuvenating the patient than the facelift itself,” and called the union of procedures a ‘synergistic tool’. The key question asked during the talk was how to know when and where to add fat to an SMAS flap procedure. Examining the patient’s face in order to analyse what has brought this patient to wanting facelift surgery, is the first step. Facial fat grafting can be guided by the patient’s appearance in youth, making it helpful for the surgeon to see photographs from their twenties, said the speaker. The benefits of repositioning facial fat to enhance facelift surgery results are increasingly impressive according to the speakers. Hollow areas of the face can be greatly improved by fat grafting, and especially in areas such as the cheeks, the deflated look to a face as a result of ageing can be improved. Facelift treatments alone doesn’t treat atrophy but including fat grafting allows the surgeon to produce a soft, natural-looking appearance. Not only that, but the combination of SMAS facelift surgery and fat grafting treatment can also extend the lifetime of a facelift significantly, leaving patients feeling more satisfied with their results for longer. Patient’s expectations should be managed carefully, as additional fat grafts may be required. Furthermore, the panel of speakers agreed that performing fat grafting before SMAS flap facelift surgery was usually preferable. Calling fat grafting ‘a major game changer’ the talk concluded with the experts reminding delegates that fat can be used virtually anywhere in the face, but facial shape and contour must be taken in to account, especially when used in combination with facelift surgery. Aside from facelift treatments, other topics covered at the ASAPS conference included open v closed neck contouring surgical techniques, and what 3D imaging may provide surgeons in the future when it comes to facial rejuvenation surgery.